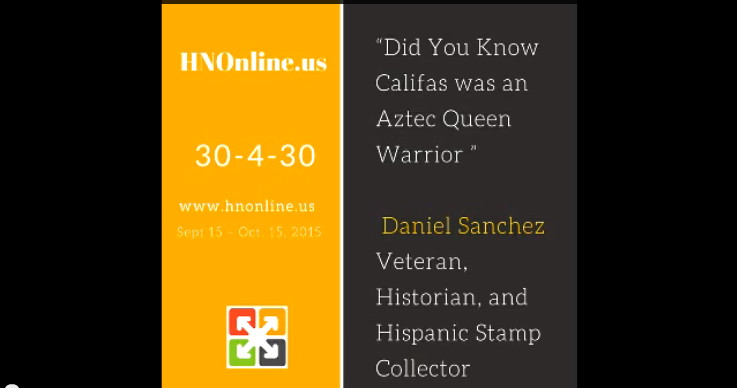 HNOnline is proud to introduce Daniel Sanchez, Veteran, Author, Public Speaker , and Latino Stamp Historian. Listen to his story as he takes us down the road of Stamp Collecting. He will enthrall you with his in-depth research of historical facts about each Latino stamp ever produced. He takes a simple object that we usually we never ever think twice about and magically transform it into a Library of information. I hope you share his story with your children and start considering stamp collecting.